James McDonagh is the leader of Irish Republican Voice (IRV) – a dissident group that split from the 32 County Sovereignty Movement (32CSM) in the aftermath of Alan Ryan’s murder. IRV are linked to Saoirse na hEireann, a paramilitary group which was formed late last year. Saoirse na hEireann were linked to non-fatal shootings in north Dublin towards the end of last year. McDonagh, a former pal of murdered RIRA leader Alan Ryan, is very much the public face of IRV and has attracted the attention of criminal figures and his former IRA associates, with whom he had a bitter falling out. Security sources say there are threats on his life from criminal gangs and from IRA figures. 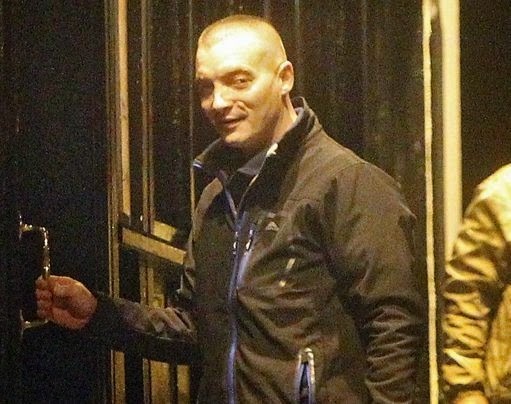 Drug dealers in north Dublin are among those with a grudge against McDonagh, including associates of ‘Mr Big’ who was believed to have ordered Alan Ryan’s murder. However, he is also under threat from within republican circles. McDonagh claims he left 32CSM of his own accord in April last year after becoming disillusioned with the group. However, 32CSM claims he was booted out of the organisation. He was injured in a knife attack in south Dublin months after setting up IRV. The settled traveller has been keeping a low profile in recent weeks and is understood to be aware of the threats against him. Meanwhile, IRV has formed an alliance with Republican Sinn Fein (RSF) Limerick, led by Joe ‘Tiny’ Lynch. Lynch’s daughter Rosie is a Continuity IRA hitwoman serving life for the murder of innocent breadman David Darcy in Dublin in November 2011. While both IRV and RSF will continue to operate independently they have formed an allegiance. Republican sources say there has also been cooperation between Saoirse na hEireann and the Continuity IRA. The move will see IRV-linked prisoners secure republican status in Portlaoise Prison as CIRA members will back them up. ”It’s a strange mix, but it could be seen as a case of safety in numbers,” said a source. The two groups marched together as part of the Sean South commemoration in Limerick earlier this month. There are currently two RSF groups in Ireland. One is led from Dublin by Des Dalton, while the other is led by Lynch. Both groups claim to be the legitimate RSF. csf has nothing to do with this idiot. He was a member of CSF.